The EU Food Chain and its Contribution to Health: How to Overcome the Challenges? 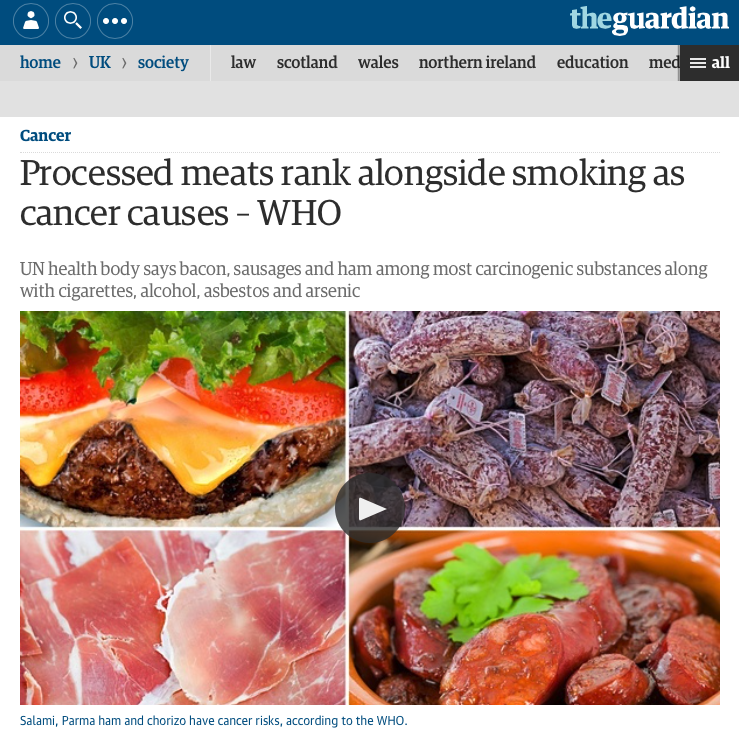 Abstract: On October 26, 2015 the WHO’s International Agency for Research on Cancer has announced that it has added processed and red meat on its list of carcinogenic substances. Only three decades ago, read meat was categorised as one of the most valuable foods in most states’ nutritional guidelines. Now it is apparently a risk to human health. This discussion paper aims to shed light on the question regarding whether such classifications of regulatory bodies are mere outlier cases, or are part of a wider trend towards increasingly viewing the agri-food chain under the sole perspective of public health and neglecting cultural, economic and leisure aspects of food consumption. A closer look soon reveals the increasing dominance of public health rationales when regulating food. References from the United Kingdom or Ireland show that alcohol and certain food categories are increasingly treated as hazardous products, like tobacco, proposing “risk management tools” such as labelling standardisation, incl. 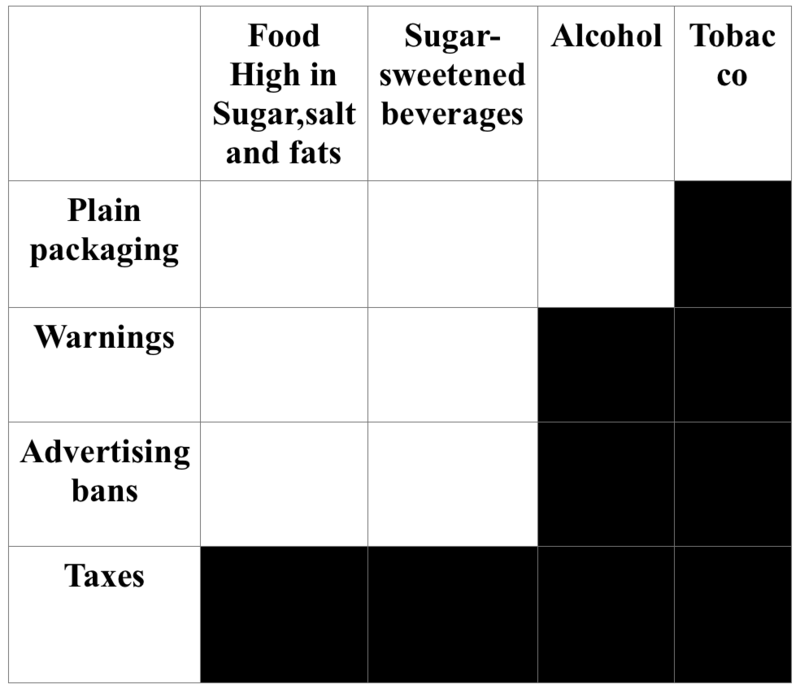 Health Warning standards, advertising restrictions, taxation and price measures. Consequently, the question is to what extent the EU agri-food chain can be part of the solution, and what can it contribute to balance the debate in order to include economic, cultural and behavioural effects of regulation in the equation? Finally, this paper aims to provide food for thought inter alia, as to how impacts ofregulation on consumer behaviour can be measured in a more comprehensive way, and what the European contribution should be to this issue. In the last decades, science has shed light on what we eat, and has shown that food is a critical factor for human health. Particular importance has been given to its relationship with Non-Communicable Diseases (NCDs) like obesity, cholesterol, diabetes, cancer, coronary diseases and others related, making diet a priority for public health. Public authorities all over the world have tried to curb problems related to nutrition – not only through public health, but also via society, economics, finance and politics- through different initiatives. The most significant, recent, worldwide initiative has been the “Global Strategy on Nutrition, Physical Activity and Health” from the World Health Organization (WHO) approved in 2004. Seven years later, United Nations signed the “Declaration on prevention and control for Non Communicable Diseases” providing both a set on recommendations and action plans to guide and influence national policies against harmful effects of food and drink on human health. Support to education programs via the €150 million School Scheme Fund included in the Common Agricultural Policy, focusing on the distribution of fruits, vegetables and milk to children in the EU. Finally, at national level, Member States are not lagging behind regarding such initiatives, and even go further, offering a wide variety of measures ranging from legislation, to self- regulation codes, taxes, prohibitions… Sometimes going far beyond the common European framework and thus affecting the internal market. The issue of food and health has gained importance on the European political agenda, and, at the same time, is a rather sensitive topic. All stakeholders take active part in the debate, attempting to influence and pass through their visions and positions to the different institutions. A short review of the stakeholders may give us a brief idea of the intensity of the debate -and its polarisation. 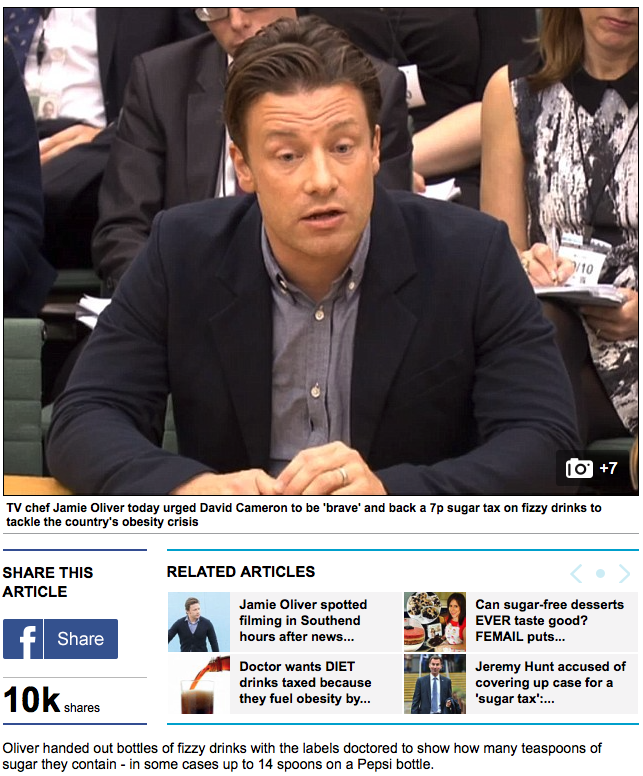 The media: in general terms, messages and opinion published around food and drink are mostly negative. Diseases, economic burden, inequality, pandemics… all are issues very often linked to food and beverages in the media, transmitting a somehow distorted vision –or at least unbalanced reality-, which damages the public image and credibility of the whole food chain. There is only one exception: when it comes to gastronomy, it seems that people perceive food and beverages as something positive, enjoyable, and attractive. There is a measure of separation between public and personal perceptions. Science: nutrition has exploded in recent years, making food, its composition, and its effects on health an area of special interest for science. On the contrary, other areas of research, like genetics or the influence of physical activity, or even others like environment, do not attract the same level of interest. It seems clear that good evidence – based policy making depends – at least in part – on good research and evidence. But sometimes it happens that science is mixed with politics, making it harder to reach a consensus on core issues, and contributing to confusion amongst consumers. Economic sectors: the whole food chain is affected by this issue, from production to industry, to distribution and Horeca. They all take part in the production of food and beverages which are to be consumed by the population, at home or out. Many different initiatives are in place – self-regulation codes, voluntary agreements, information and education campaigns, voluntary labeling schemes, physical activity programs, research funding…-, and continue to undergo development. The industry side is the most active link of the agri-food chain in this sense, even if sometimes their efforts are not fully recognised or are surrounded by scepticism. NGOs and activists: consumer organisations and other NGOs have been traditionally relatively active when it comes to the food sector, but the issue of food and health has attracted its interest and participation in the public debate to an even greater extent. But the “newcomers” are the activists, working individually or in coalitions, with rather new and aggressive communication techniques in search of a place and erupting with extreme proposals, the effectiveness of which have not been proven. The new transparency policy embraced by the European institutions has opened the way to this new group of stakeholders, even if they raise some doubts about its representativeness amongst the other groups of civil society. which recently produced a document on “Sugar intake for adults and children”, and is preparing another one on childhood obesity. The OECD has been also very active, especially on the side of alcohol, with its recent paper “Tackling Harmful Alcohol Use”, with the collaboration and support of the FAO and WHO, thus showing a new feature of cooperation between international organisations that will be a growing trend in the next future. Back to the European Union, several issues are on the table and provoking lively debates. On the regulatory side, application of Regulation 1169/2011 on Information to Consumer via national schemes, like the UK traffic lights system, raises the question of compatibility with EU Law. Nutritional profiles, as conceived by Regulation1924/2006 haven’t seen the light -after six years-, and the European Parliament is divided, with a high number of Members asking the Commission to withdraw this model due to its lack of scientific basis, possible discriminatory effects, and potential dangers to the international market. Similarly, the Danish “fat tax” was unilaterally removed by the local authorities, and subject to an investigation opened by the EC for its possible anti-EU law effects. With the EU placing great emphasis on the importance of the Intellectual Property Rights (IPRs) – the protection of intellectual property rights is an essential element for the success of the Single Market , not only for promoting innovation and creativity but also for developing employment and improving competitiveness – and some of the proposed public health measures potentially undermining this protection, it is questionable whether health arguments can be assumed to supersede other (fundamental) right. Finally, it is worth mentioning that twenty public health organisations recently resigned from the European Alcohol and Health Forum, in protest against the European Commission’s refusal to submit a new alcohol strategy. But, as it has been said before, the most active level is the national one. Several examples are worth mentioning in order to gain a better idea of what is at stake. France: the draft “Loi Santé” is due to be voted on in the plenary session of the National Assembly in the coming weeks. Its chapter on prevention puts together tobacco, alcohol, and food, with special provisions for each of the sectors heading generally for further restrictions. Ireland: A Parliament Committee on Health and Children backed last June the government´s approach to introduce a minimum unit price (MUP) for alcohol, as well as other measures like a “social responsibility levy” to capture some of the profit that may arise from introducing a MUP to fund awareness and addiction programs, health warnings on alcohol packaging with similar rules to those controlling tobacco labels, bans on the advertising of either retail discounting or multi-buy alcohol promotions, etc. Latvia has become the latest EU country to ban trans fats, joining ranks with Austria, Hungary, and Denmark. The prohibition will enter into force in 2018, for both domestically produced and imported food. In the same line, but on a voluntary basis, BEUC, EPHA, CPME, EHN and four major food companies have sent a letter to the Commission requesting a legislative limit to TFAs in food. There is no doubt that the European food chain is facing one of its most important challenges, if not the greatest it has seen. In search of a solution, many theories have been applied, from the “Nanny State” –prohibition, taxes and minimum unit pricing, restrictions to advertising and communication- to self-regulation measures –EU pledge, voluntary measures on reformulation, warnings,…- and new proposals like behavioral science –“nudge theory”. But one thing seems clear, and that is that “business as usual” is not the right way to overcome the challenge. Amongst others, some questions need to be answered if the food chain wants to be not only part of the problem, but also contribute to the solution. In order to participate and enrich the debate, Farm Europe will propose in the coming weeks key questions to be answered to have a coherent and efficient policy in Europe with regard health and labelling.